Photography lovers gather around! This is the chance to show the world what you can do with a lens, and boast about your ability to capture moments of life through photographs. 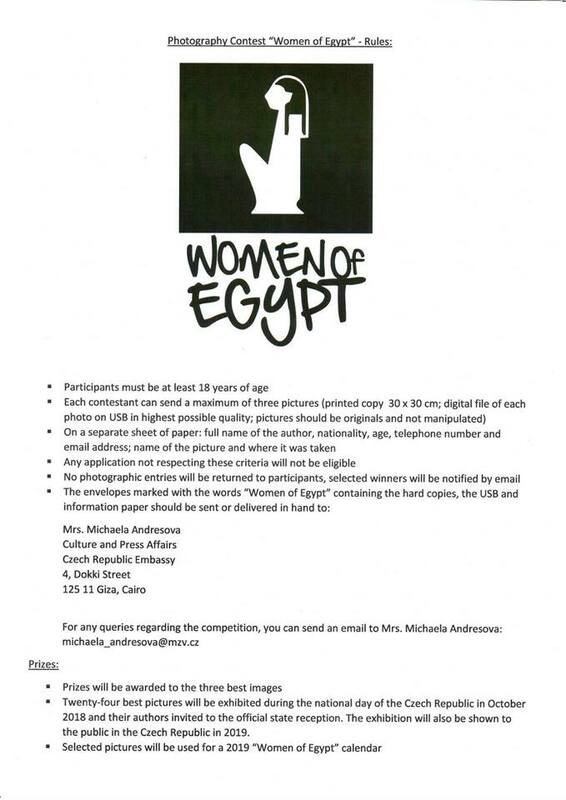 The Embassy of the Czech Republic in Cairo is calling for participation for a photo contest on the topic of Women of Egypt. The competition aims to gather photographers in Egypt for a contest that will shed light on the daily lives of Egyptian women, a project that will capture the diversity of Egyptian women, the lives they lead, and the responsibilities they take on their shoulders. Don’t worry if you’re not a pro, The Embassy of the Czech Republic of Cairo is inviting amateur photographers as well to showcase their talents. 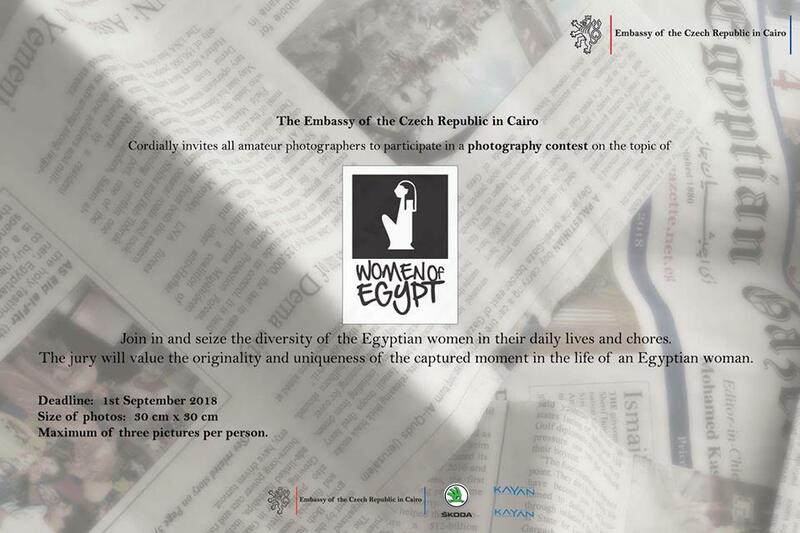 As we said, the topic is the lives of Egyptian women, and contestants are given a maximum of three pictures per person. The size of photos should be 30 cm x 30 cm, and the deadline is the 1st of September, so you have a time to go, but you should start working soon to perfect your shots. So what’s in it for you? 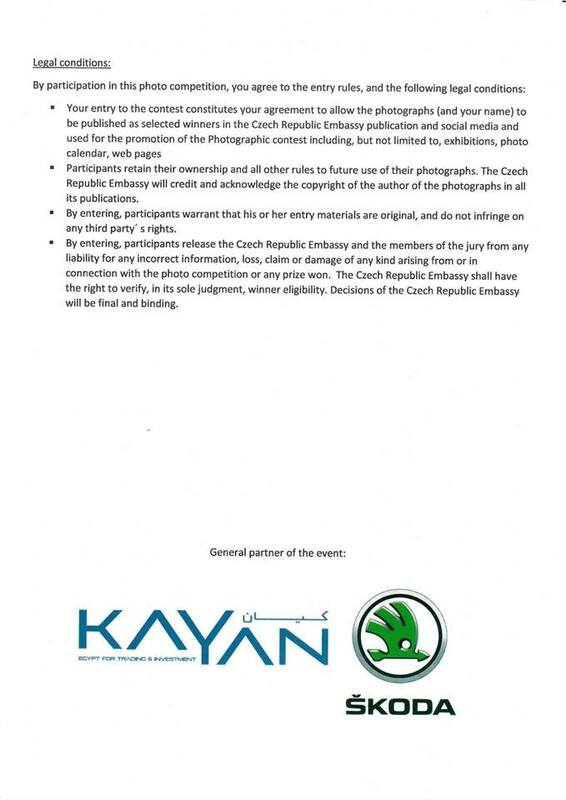 Well, aside from enhancing your talents and following your passion, the best twenty four pictures will be exhibited on the National Day of the Czech Republic next October, and those who took the shots will of course be invited to the exhibition. Your photographs will also be shown globally to the public in the Czech Republic in 2019. A few select pictures will also be used for a 2019 Women of Egypt Calendar. The three best images will also receive special prizes. Hurry up, clean your lenses, and get ready to seize the beautiful moments in life and bring forth amazing photographs. If you want to know more about the competition rules and admission regulations, check out the details on Facebook. Good luck photographers of Egypt!